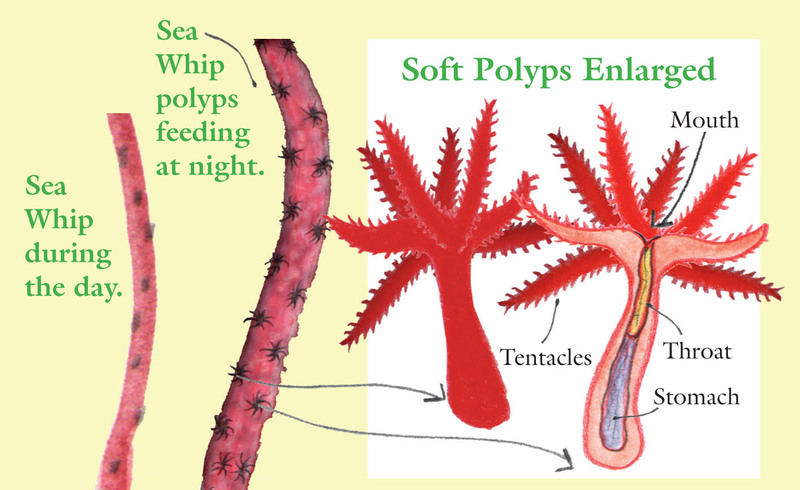 How Polyps Eat | Sea Horse, run! At night coral polyps come out of their skeletons to feed. A polyp uses tentacles to sting and capture tiny floating animals called zooplankton. 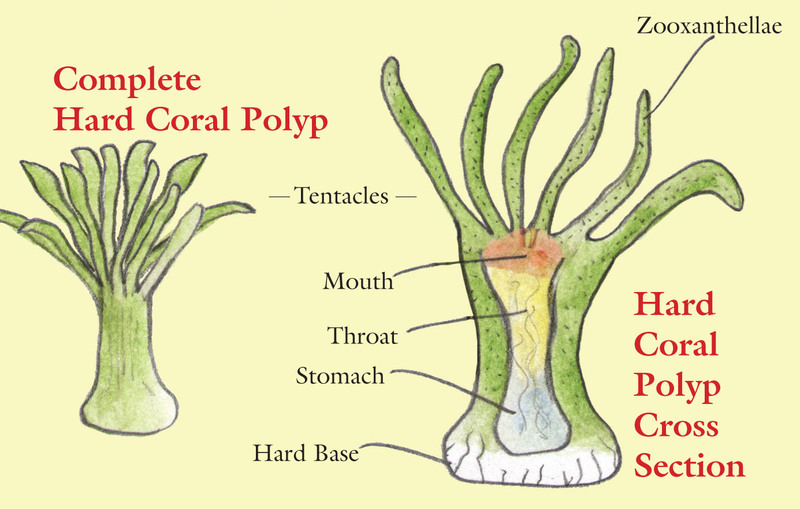 The polyp’s mouth swallows the zooplankton. The zooplankton is digested in the polyp’s stomach. Some coral polyps feed by exchanging energy with tiny algae called zooxanthellae (pronounced zo-zan-THEL-ee). Zooxanthellae live inside the polyps’ tissues and create the brilliant colors seen in many corals. 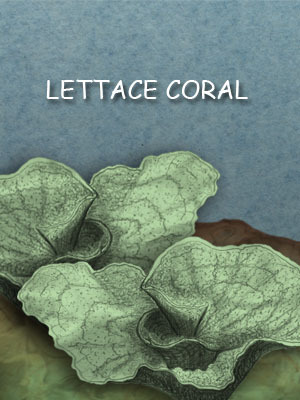 The algae in Lettuce Coral are green.